Maintaining the memory of the Shoah is as important today as ever, especially when contemporary witnesses of the tragedy become fewer and the temporal distance to the events becomes greater. Moreover, in some countries, especially in Eastern Europe, a tendency towards a selective memory can be observed, which denies or at least strongly relativizes the co-responsibility of the local population for the horrors of the Shoah. To address these issues, the FES Israel and the Massuah Institute invited to the conference “Memory Corrections” in the 21st Century – Israel-Europe. 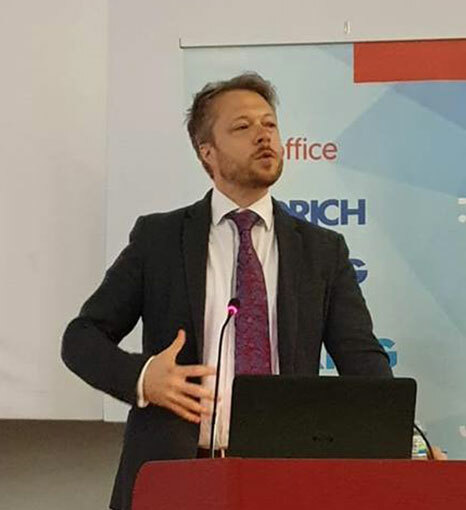 Dr. James Bulgin from the Imperial War Museum in London spoke at the beginning. Since 2015, he and his colleagues have been working on a new exhibition on the Holocaust, to be opened in 2021. The new exhibition is to deal with the events of the Second World War in direct connection with the Shoah. According to Bulgin, the museum will focus on making it clear that the Jewish victims always remained people with their own individual history, even in the face of the catastrophe. The new exhibition is also intended to correct half-knowledge and scientifically outdated notions that are widespread in Great Britain. As an example, Bulgin cited the “cliché” of the Holocaust as a killing machine. This image of the Shoah conceals the fact that it was people who invented Auschwitz and kept it going: The Holocaust was not an inexorable killing industry decoupled from the individual, but the result of constant decisions by the Germans Nazis and their helpers to continue killing. It was explicitly human barbarism that drove the Holocaust. 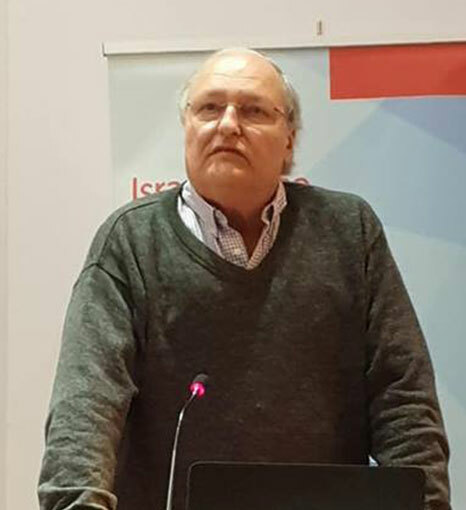 Prof. Efraim Zuroff then reported on Lithuania’s handling of the crimes committed there by Nazi Germany and its Lithuanian helpers during the Second World War. Lithuania’s relationship to the dark past is exemplary for many Eastern European states. How little government and population are often interested in dealing with the role of non-German perpetrators was made clear by Rūta Vanagaitė. 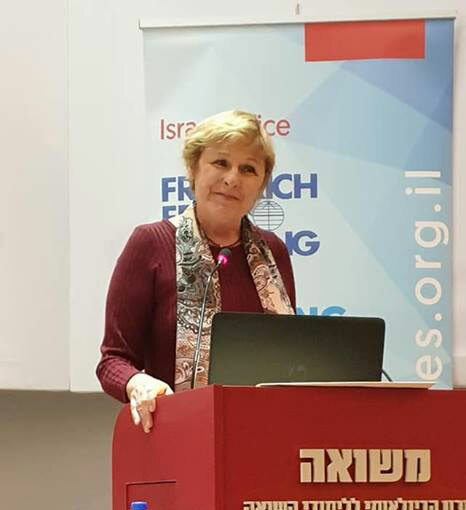 The former bestselling author had published a book on the role of Lithuanian perpetrators in the Holocaust in 2016 and was subsequently not only dropped by her publishing house, but also exposed to threats and social ostracism. Since 2018 she has therefore been living in exile in Israel. According to Vanagaitė, a real confrontation with the crimes that took place on Lithuanian soil is simply not desired in her home country. 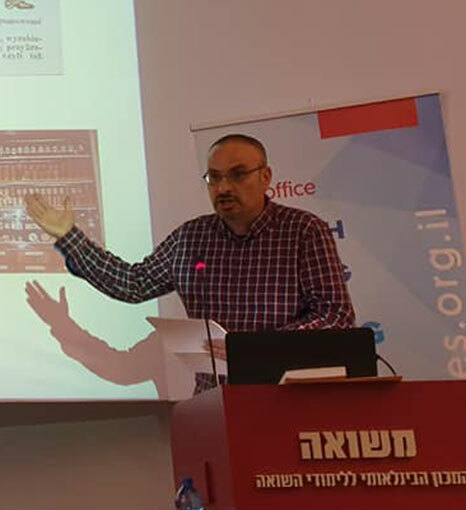 The Israeli journalist, author and Yiddish translator Benny Mer revived Jewish life in Warsaw before and during the Second World War in a fascinating lecture by presenting his meticulous research on Warsaw’s Smocza Street, which was mostly inhabited by Jews. 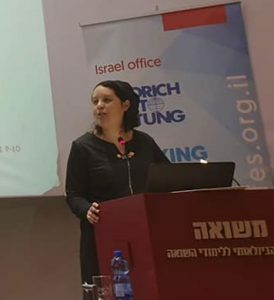 In the second part of the conference, Tehila Darmon Malka explained that in addition to Shoah victims and Shoah survivors, there was a third category: missing persons. 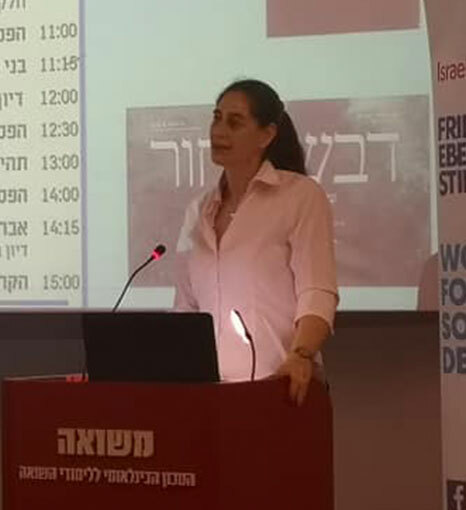 After the end of the Second World War and until the beginning of the 21st century, Shoah survivors in Israel and around the world tried to locate family members whose fate was unknown. The Jewish Agency founded the “Search Bureau for Missing Relatives” in 1945, which was active until 2002 and has received more than a million inquiries over the years. On Israeli radio, there was a daily broadcast in which the search queries were read aloud. 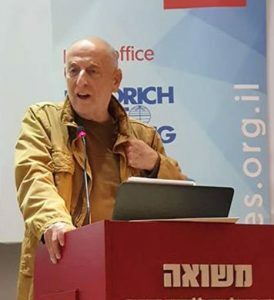 The program, which was also discontinued in 2002, shaped the Israeli public for over five decades. At the end of the conference the documentary “Devash Shahor” (Black Honey) was shown by director Uri Barabash about the turbulent life of the greatest Yiddish poet of the 20th century, Avraham Sutzkever. The leader of the “Paper Brigade” in Vilnius, which saved Jewish manuscripts from the Nazis during the Holocaust, wrote, among other things, the “Hymn of the Shoah Survivors,” but also beautiful poems that touched Stalin to such an extent that in 1944 he ordered the rescue of Sutzkever from the partisan forests in Lithuania with a Soviet plane. After the war, Sutzkever was one of the witnesses at the Nuremberg Trials. He then immigrated to Israel and settled in Tel Aviv. In 1948 he founded the magazine Di goldene kejt (“The golden chain”: symbol for the survival of the Jewish people) for literature and essay writing in Yiddish, which he continued to publish until 1995. In 2010 he died at the age of 97.